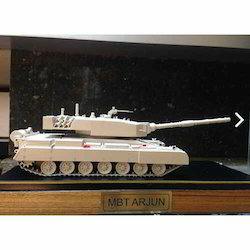 We are a leading Manufacturer of military tank models, mbt arjnu tank deference model and defence model from Bengaluru, India. 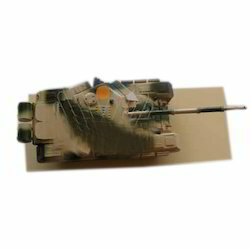 As an ace manufacturer and supplier of Military Tank Model, we have marked our name very strongly in the market. These models are widely used and comes up with the fine details and extreme clarity. It also offers adjustment in elevation, strong structure and base, perfect color combination and utmost accuracy as well. These are offered to our customers at industry leading rates. Our company has established itself as a leading manufacturer and supplier of superior quality Mbt Arjnu Tank Deference Model. These models from our end are constructed as per the latest technology and have a strong infrastructural background. We clearly understand that how critical the work of defence is and thus, make sure that there are no gaps or possibility of errors involved in the entire layout. Our company has established itself as a leading manufacturer and supplier of superior quality Defence Model. We clearly understand that how critical the work of defence is and thus, make sure that there are no gaps or possibility of errors involved in the entire layout. These models from our end are constructed as per the latest technology and have a strong infrastructural background. Looking for Defence Models ?